Lauren and Travis' wedding was taking place on a ranch in the Colorado surrounded by mountains. 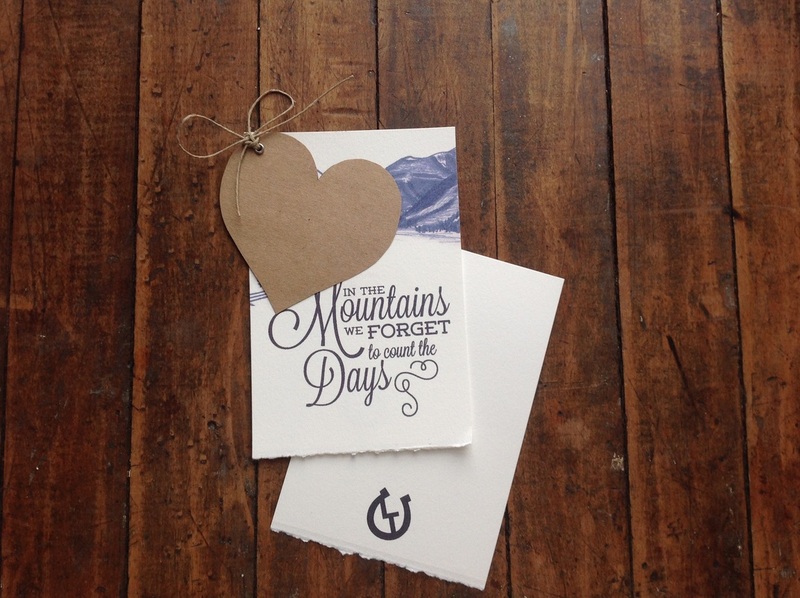 They wanted to show their love of the outdoors with a hand-drawn mountain scene. They also wanted to incorporate these ideas and details throughout their reception. 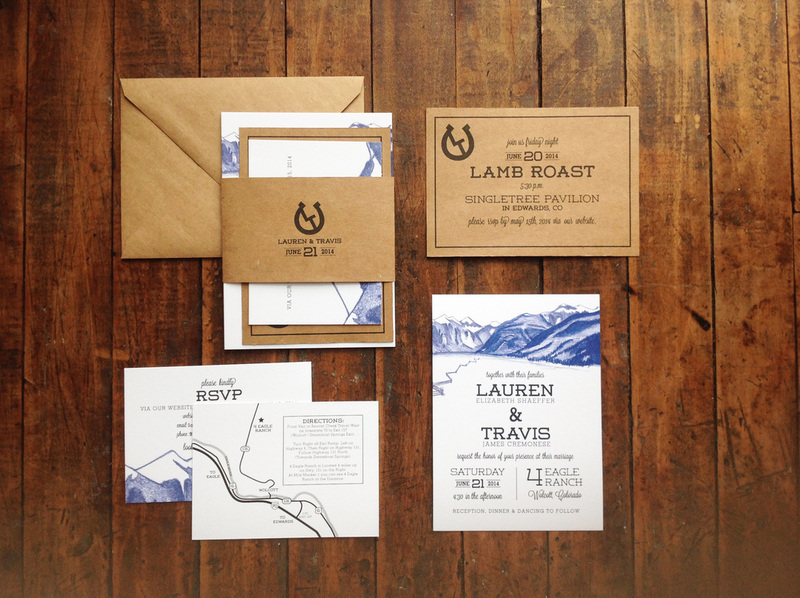 A hand-drawn mountain scene was created, as well as to instill their ranch wedding location. Their custom "brand" logo was also used to establish a ranch theme. An info card with directions and rehearsal dinner card was also included. 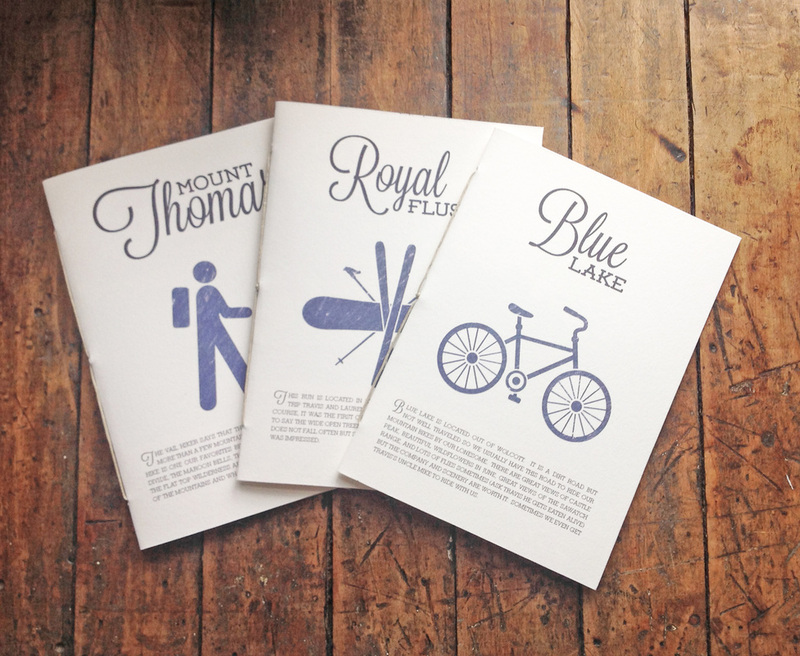 For the reception, table name booklets were created for each table, with names of ski, hiking and bike trails that were favorites of the couple. 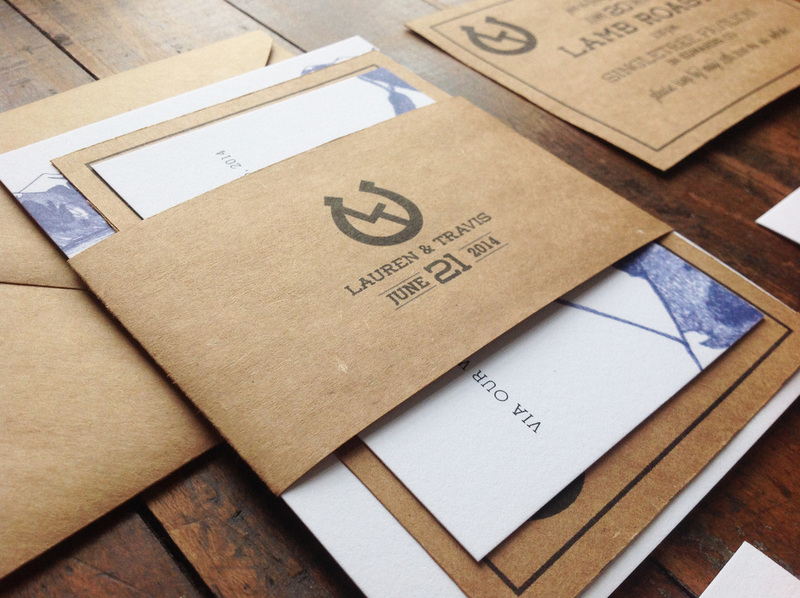 Inside of each was a picture of Lauren and Travis on each corresponding trail. These booklets were used by the guests at each table to write their well-wishes to the newlyweds. At each table there were also heart place cards with written notes from the bride and groom on the back for each guest.